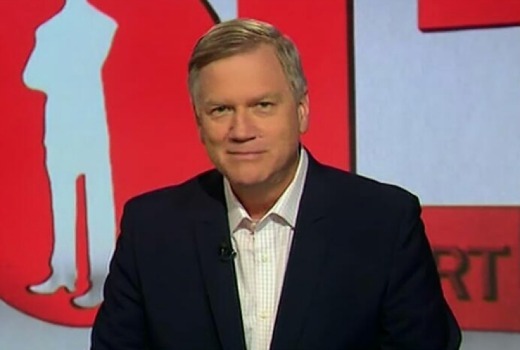 TEN series The Bolt Report will return on SKY News at 7pm weeknights from May. It ends speculation as to whether the show would return to TEN this year, but airing on the joint News Corp / Telstra-owned broadcaster may be a cheaper option than producing the show for TEN. Bolt will also continue his nightly appearances on Steve Price’s radio show and writing for the Herald Sun. He was recently a correspondent from Rome during George Pell’s video appearances into the child abuse inquiry. The Bolt Report will be first nightly production from SKY’s Melbourne studio. Former prime ministerial chief of staff Peta Credlin is also believed to be considering an offer to join SKY’s federal election coverage. So free to air television won’t be contaminated anymore. Well he’ll feel right at home there with all the other like minded people there. Sky News slowly morphing into Aussie version of Fox News. Sky just launched The Latest with Laura Jayes in that timeslot a month or two ago. Does she just get the axe now? SKY advises: “The Latest with Laura Jayes will move to the new timeslot of Monday – Friday at 6pm. Oh that’s interesting, thanks David. Grant was rumoured to be considering a political career so he may not be coming back anyway if that pans out. He has a new show on NITV. Fox News would be Andrew’s natural home, but it’s already exceeded its quota for right-wing commentators. Makes a lot of sense – it’s natural home is on Sky with all their other panel shows. Receptive audience too.